Did you check out our Spring/Summer 2013 Look Book yet? This was our first Look Book shoot. We had lots of trial and error, but also had fun dressing up our products with props and greenery. For the first Look Book, our theme was to have simple and classic look. Paired up with everyday carry goods; keys, pens, notebooks and such (you know the things you will find in bottom of your bag!) We also wanted to suggest using the case as a pouch for little special things like, tobacco pipes, jewelry, and accessories. The best way to use our goods is to carry it everyday, so we wanted to show the versatility of the case. They are perfect for your beloved electronic devices, but also great to declutter your bag. 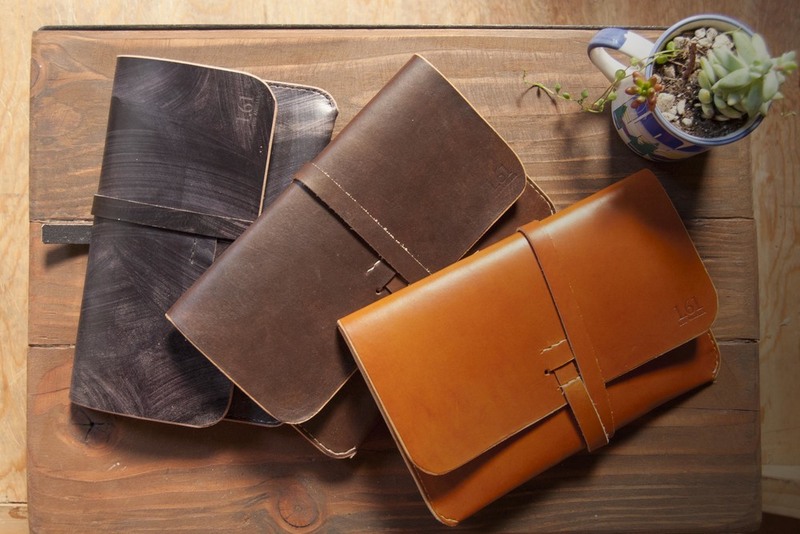 When you bring the case everywhere, you'll see the story that will be created into the leather, it becomes something sentimental in your daily life.